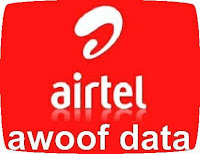 Weekend would be sweeter for Airtel subscribers as the telecom giant offers a whooping 1GB for free to its loyal subscribers. This awoof was posted on their frontpage but with limited details. To get this free data for the weekend, just dial *475# and you will receive the message “This plan is only available on Saturday and Sunday”. According to Airtel, the plan works on Android, iPhone, iPad and PC. It doesn’t need any tunnel software or VPN to make it browse. Even if you dial the code to subscribe on week days, it will be reserved for you to use on weekends. The weekend plan starts from 12am Saturday to 11:59pm Sunday and it will run every weekend for One full month. You can be assured that dialing the code won’t move you to any other package, it is a freebie under your current tariff plan. You don’t need to have any credit on your phone to subscribe, so what are you waiting for, dial now and get this Airtel Awoof free 1GB Weekend data plan. Get more Airtel sim card and subscribe 1 GB in each for endless streaming and downloads over the Weekend. You can check your balance during the weekend when the plan is active, just dial *223#, it would appear under the Free Data.